When you have a teen in swimming competitions and music band plus a daughter practicing hip hop and taking swimming lessons, you don’t have much time for cooking. Dinners must be ready in less than 30 minutes. Sometimes 15 if you have a snow storm on your doorstop. That’s why I cook a lot with Patak’s s sauces. They are blended in a such a way to release flavour and taste in around 15 minutes. Add meat and vegetables and your dinner is set. If you have extra time, you can also use the paste. It does not mean I don’t use the paste, I do use it. But first do you know the difference between a Paste and a Sauce? Paste or Sauce: When and how? As I mentioned above, a sauce releases the flavour in a short period of time. I use it on those extra speedy days where I need to feed the kids in a short period of time. With the sauce, I don’t have to add any cream or extra ingredients. I love using it in a Butter chicken recipe. It is easy and delicious. I use Curry Paste a lot in my soups as they simmer. I also use it in my marinades as the flavor is released to the fullest. In Patak’s pastes, the spices are ground for you then blended with oil. You need to let them simmer for a longer time than the sauce (between 15 minutes and 30 minutes). Pastes do take extra time to simmer but the result is as delicious as the sauce. You can control the quantity of spice you add into your dish: I usually add an extra spoon of curry paste in my dishes or even use them as a dip as I love spicy food. I cannot do this with the sauce. For more details about sauce and pastes, check Patak’s Canada website. The following squash and butter chicken recipe can be used with both a sauce and paste. I used the sauce as I was running short on time and I did not have cream to add to the paste. If you want to use the paste, check the detailed Butter Chicken recipe . I tried it few days later with a paste and it is as delicious and creamy. So let’s see how you can mix in a Little India in your dish. Heat 1 tbsp of oil in a pan over medium heat. Dice two medium chicken breasts & pan fry until meat is sealed and browned (approx. 3–4 min). Serve over rice or with Naan bread. The original recipe from Patak’s Canada did not require squash but I had some on hand. I figured it is a great way to get the family to eat vegetables. Besides when mixed with the sauces, it looks almost like chicken. So I did not have to bribe them to eat the squash. My daughter said it was the best chicken ever (referring to the squash) and my teen son noticed a difference but thought it was sweet potato. In the end, they almost fought for the dish. It was creamy, a tiny bit spicy but not much for the kids and perfect for those freezing winter days. This is why I love Indian food: it adds flavour to the dishes in a short amount of time. Which would you use in the butter chicken recipe? Sauce or paste? How about both? I am part of the Patak’s Canada ambassador program and I receive special perks as part of my affiliation with this group. The opinions are this blog are my own. This sounds like it will be Sundays supper. I recently used squash in our butter chicken recipe, it was great! And the kiddos loved it too! Always have curry paste in the fridge!!! This sounds interesting, and definitely not something I’d have come up with myself! Thank you for submitting to Motivation Monday! Thank you for coming to the Inspire Me Monday Linky Party! I was just thinking of what to have to dinner tonight, and you may have solved the dilemma. I’m about to go grocery shopping and hope I can find the sauce. No one would believe how easy this is to make! I’m going to try this recipe, not only does it look delicious but it’s quick and easy to make. You’re right that is a great way to get the family to eat veggies. It looks great to me. This looks really good. I will have to take the squash off my husband and kiddos plate since they arent fans. 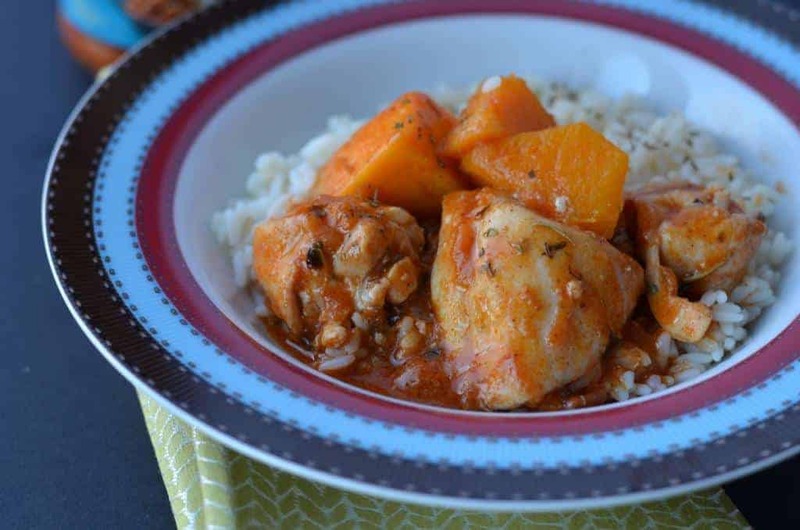 This Squash & Butter Chicken recipe looks delicious. Chicken and squash are two of my favorites to cook. I saved this recipe so i can try it this weekend. I love rice with anything. This recipe looks so amazing! We eat a lot of food with rice so I love the idea of being able to pour this chicken recipe over it. It looks like a hearty meal. Chicken is my husband’s most favorite food. This butter chicken looks yummy, spicy & delicious. I am going to do this over weekend & he is going to love it. Thanks for the wonderful recipe. yum this looks and sounds really delicious! I’ve never tried anything like this but u wonder if my kiddos would like it? I bet they’d eat it right up! This looks and sounds like a great dinner,perfect in the cold weather we are having right now. This sounds like a delicious and healthy dinner! I like the butter and squash combo on the chicken! That sounds fantastic and perfect to warm up the belly during these cold days! That sounds and looks so good! Simple and yet wholesome! Love it! 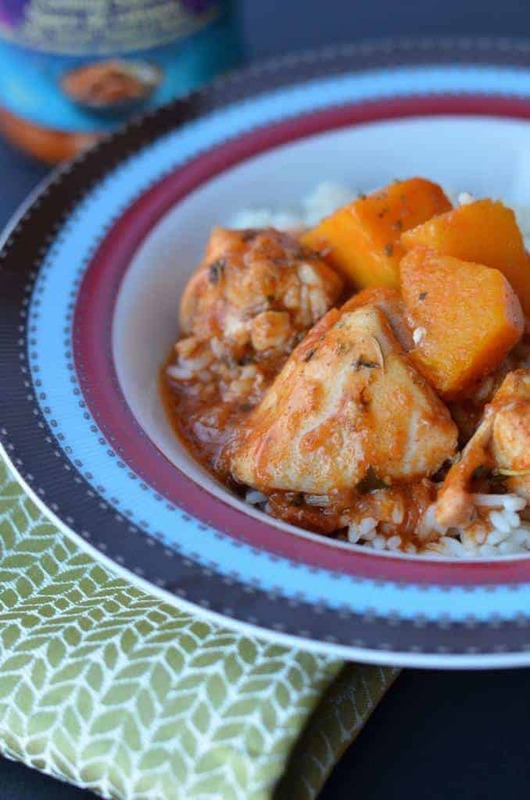 Warm chicken and squash sounds like an awesome dinner. I’d love to try this! Oh, I haven’t had butter chicken in a while! Yours has me drooling at my desk. This looks fantastic! It’s a recipe I’m going to try for sure. This looks absolutely delicious. I can’t wait to try it! I’ve always wondered about those jarred sauces but this look really yummy. I’m going to make this for sure. I’ve been looking for more ways to make butternut squash. Looks so good! I would probably use paste. i’ve never heard of this but it looks fantastically good. What is Earth Day and Why Should You Care? 8 Creative Ways to Announce Your Twins!